NWA Democrat-Gazette/J.T. 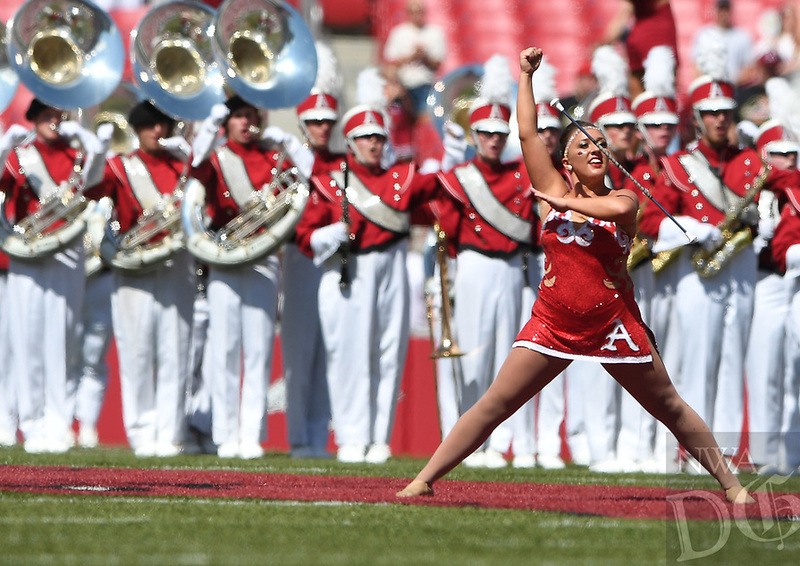 WAMPLER Savannah Miller, University of Arkansas twirler, performs Saturday Sept. 1, 2018 during the Razorback football game against Eastern Illinois. Miller earned the silver medal at the 34th World Baton and Twirling Championships.